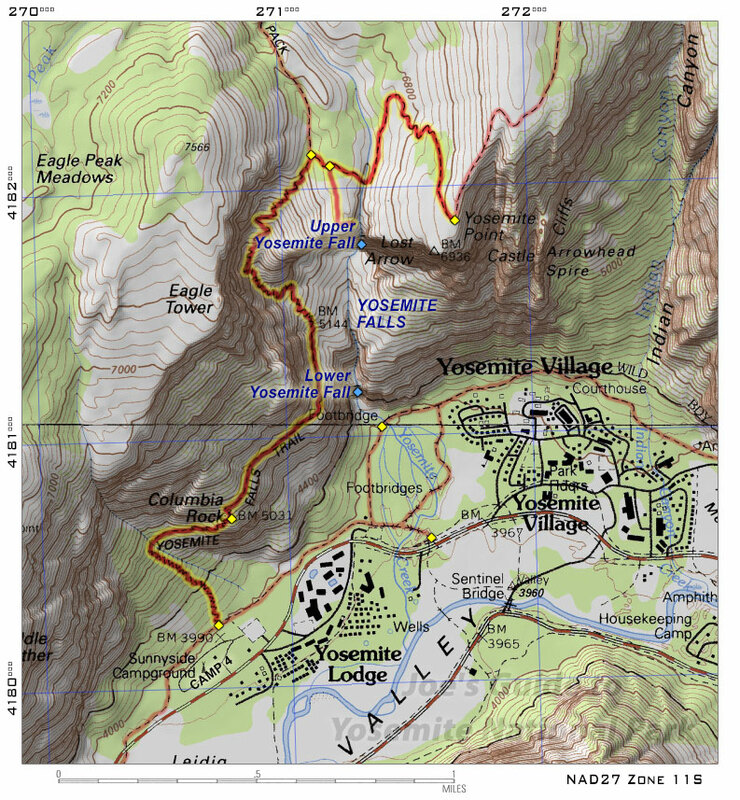 The trailhead for the Yosemite Falls Trail (Upper Yosemite Fall Trail) can be found behind Camp 4 roughly half a mile west of the popular paved trails to Lower Yosemite Fall. A large sign just off of the Valley Loop Trail marks the start. The trail wastes no time getting to business, zigzagging up the forested slope under Eagle Tower; the unrelenting uphill can be a bit overwhelming, so take it slow and steady. Once the trail has gained about 700 feet, it starts to head east and you get your first open views above the trees. At roughly 1100 feet up from the valley, Columbia Rock is a good destination for those looking for a moderate adventure without going all the way up to the rim; the large boulder with metal guardrail offers great unhindered views of the valley to the southeast and southwest. The trail then continues looping around into the Yosemite Falls pantheon where you can get several great views looking directly at Upper Yosemite Fall. The next part of the trail is the most strenuous as the trail works its way up a convenient ramp to the west of the falls, gaining roughly 1600 feet in 1.5 miles of trail. The rocky and uneven cobblestone trail zigzags back and forth and even though you can see the top, this stretch of trail may seem endless, especially if you have a heavy pack. Eventually you will reach the top of the ramp and you will enter a lovely forested area to get a taste of Yosemite's high country. 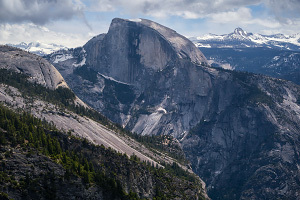 Just past the junction with the trail to Eagle Peak and El Capitan, look for the junction marker that points to "overlook" which takes you to the edge of the rim, offering amazing open views of Yosemite Valley. A spicy little spur trail (with a few exposed sections of steps and railings) takes you down to a viewing platform just above the upper fall. 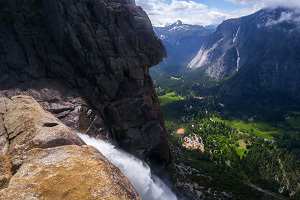 From this spot, you can get great views down into "Middle Earth" (the canyon-like section between the upper and lower falls) and Yosemite Village. 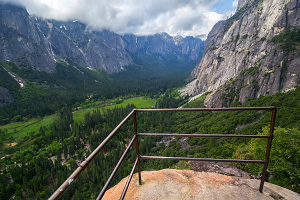 This trail is a Yosemite classic, offering great views of Upper Yosemite Fall (especially during spring runoff) and several great viewpoints down into Yosemite Valley. But you definitely pay for those views; with an elevation gain of 3000 feet, you must be prepared to make your legs work. If you like hiking poles, they will serve you well on this trail!